We have seen plenty of exciting smart wearables in the past few months. Beacon & Lively’s latest piece of jewelry is another one you can wear to keep up with your notifications at all times while looking stylish. 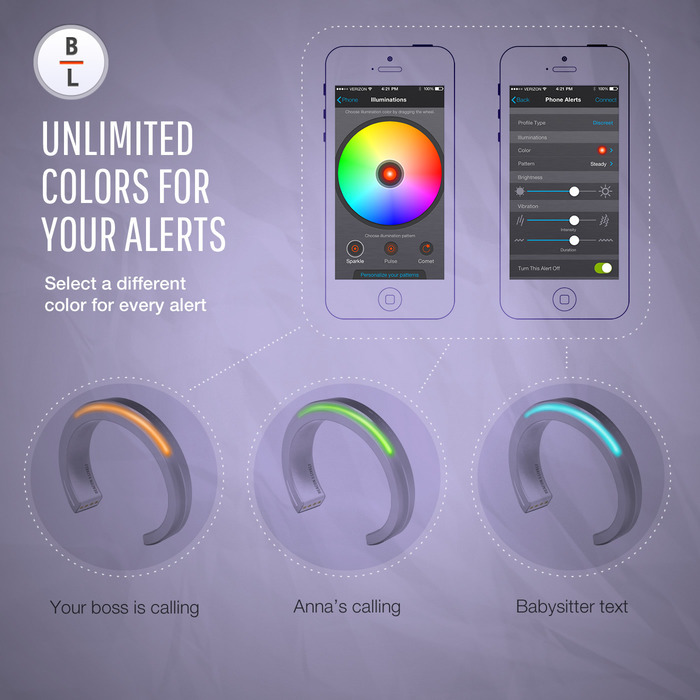 The Beacon & Lively Cuff uses ambient colors and vibrations to alert you when someone is calling or texting you. You will be able to stay connected with who matters to you without having to carry an ugly device or hold your phone all the time. The B&L Cuff gives you control over illumination colors and patterns. You can use different colors to differentiate between calls. Turning off notifications couldn’t be any easier. It just takes a flick of the wrist to get it done. The battery lasts you 5 days on a single charge. You do have the option to turn off illumination when you are watching a movie or attending a meeting. The Beacon & Lively Smart Cuff will be compatible with iOS and Android devices. It is on Kickstarter at this time.